via the addition of sulfur or other equivalent "curatives" or "accelerators". and some sulfur-carbon bonds while importantly leaving intact the molecular carbon-carbon backbone created by the vulcanization process. This transforms the rubber particles back into a reactive polymer that when properly mixed with virgin material can replace large quantities of virgin stock while producing comparable physical properties. 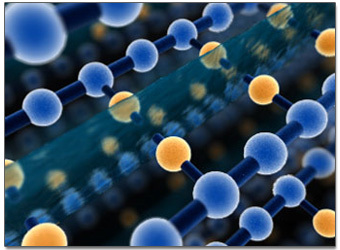 These additives modify the polymer by forming crosslinks (bridges) between individual polymer chains. Vulcanized materials are less sticky and have superior mechanical properties. and “has no "memory," meaning it will not retain its shape when formed. The process that makes rubber structurally sound and capable of holding form while remaining flexible is called vulcanization and was invented in the 19th century. This process adds sulfur and heat and carbon and "cures" the rubber so that it has the properties we are all familiar with in tires The process starts with pure crumb rubber six mesh or smaller which is subsequently batch fed into a closed loop system in which it is combined with a proprietary and patented dry powder additive. and mats and other rubber products. Our devulcanization process breaks the sulfur-to-sulfur bonds have minor property differences given that the waste rubber prior to devulcanization contains other components whereas virgin rubber has no additives.